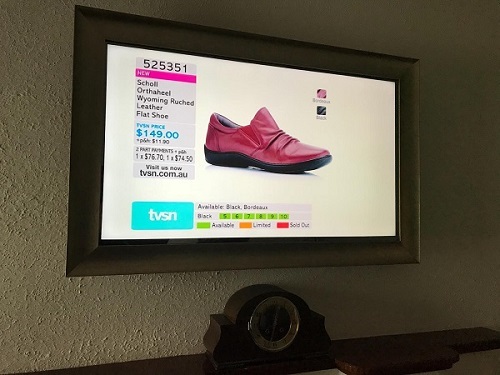 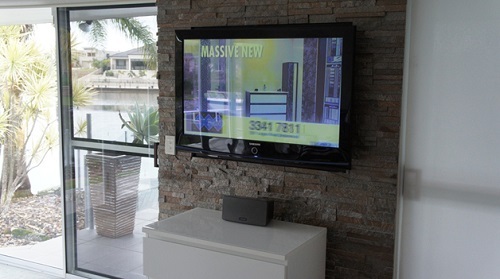 Express Your Unique Style with a Wall Mounted TV by TV Magic Douglas! 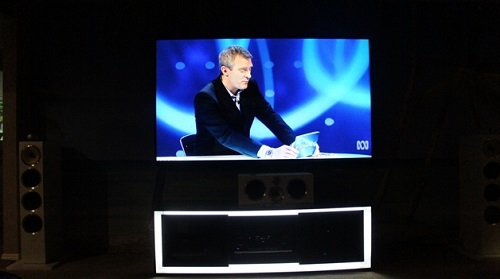 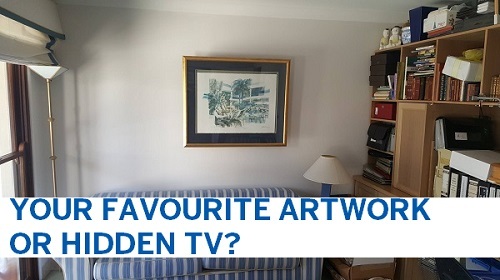 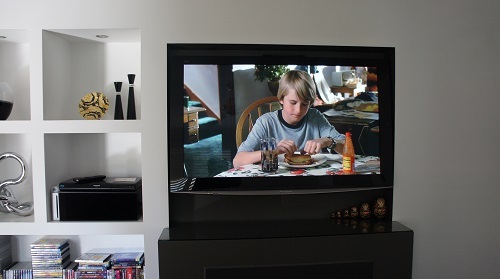 Do you feel that the old, stand-alone TV on the cabinet is not really reflecitng you style? 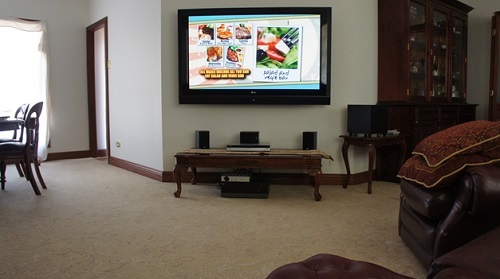 Your taste? 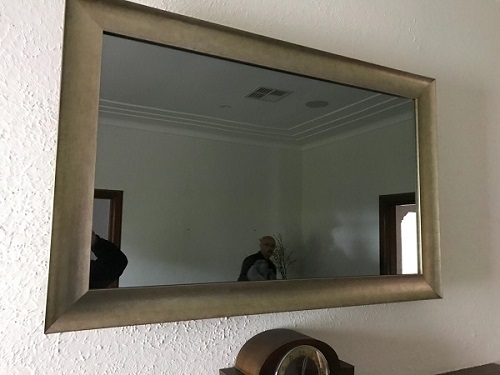 Your creativity? 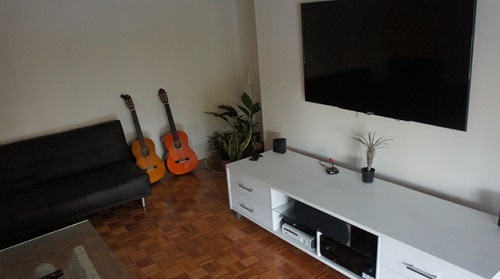 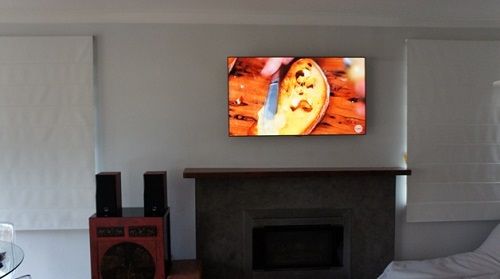 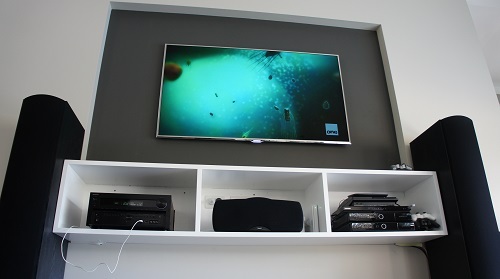 For the person who can't stand boring and basic, TV Wall Mounting is the only sensible option. 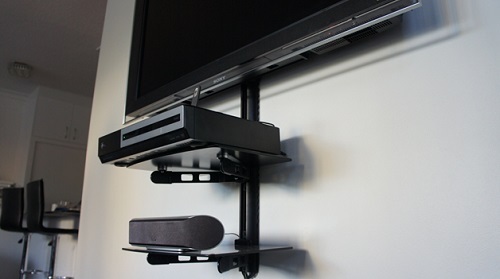 TV Wall Mounting has come a long way from what it once was; an ugly, bulky bracket protruding from the wall, holding up a big, box-like TV. 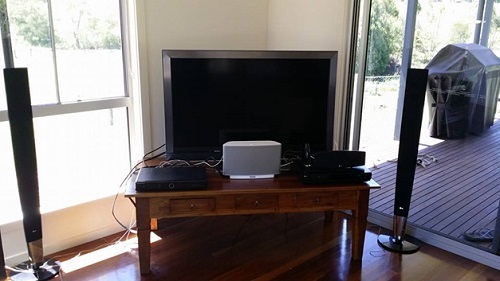 What an eyesore! 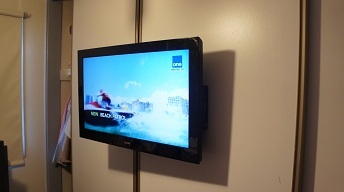 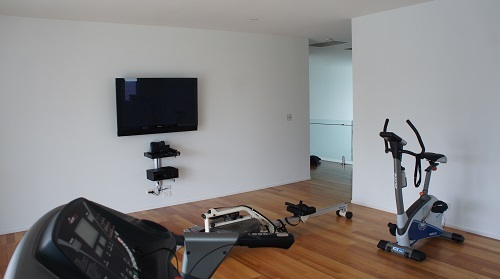 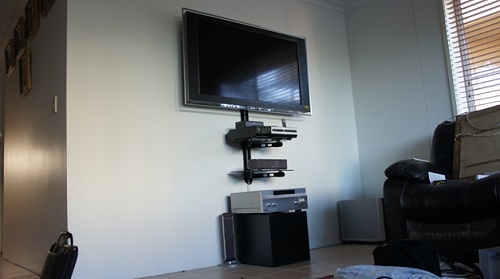 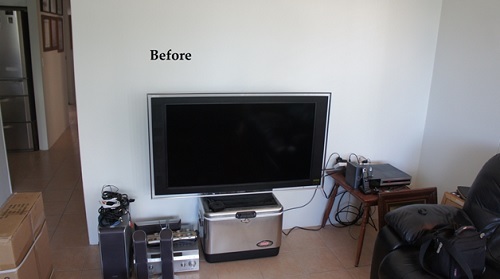 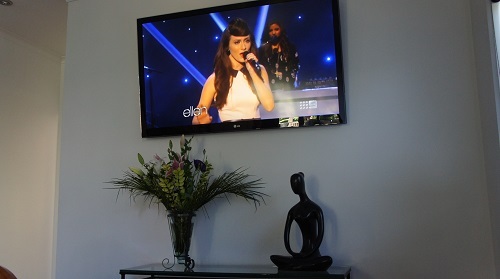 Pictured above is just one of TV Magic's many professional TV Wall Mounting jobs. 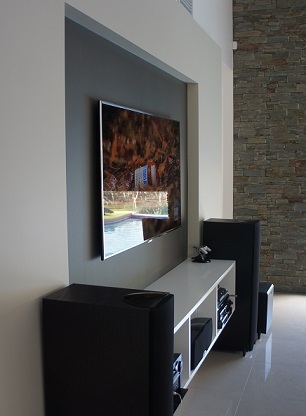 This one in particular is set in a Home Theatre system and was designed to suit the particular taste of the customer. 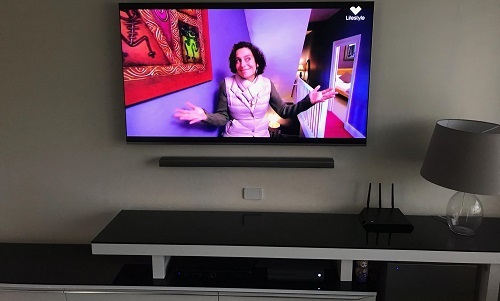 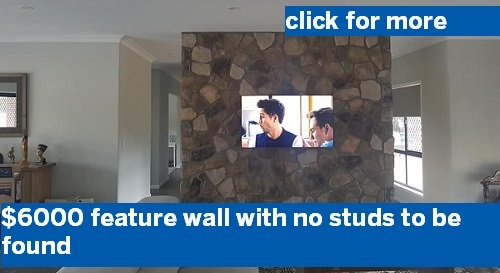 We can help you desing the perfect Wall Mounted TV Setup for your home as well, and change your entertianment experience from being average into being magical! 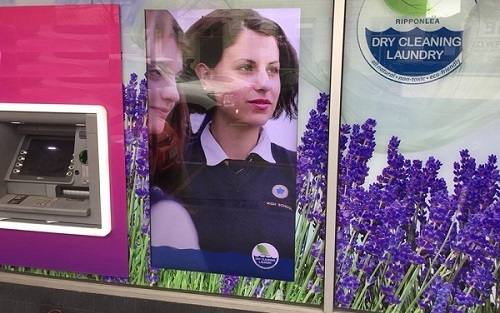 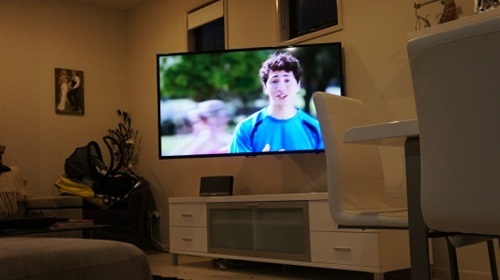 It's Not Just a TV; It's an Extension of Yourself! 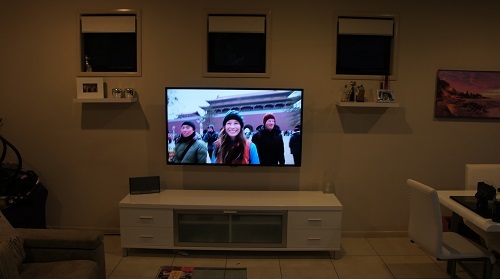 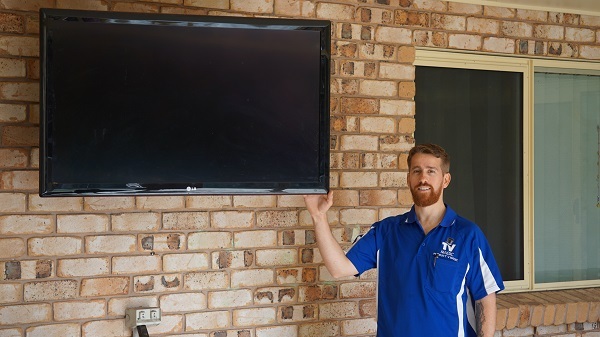 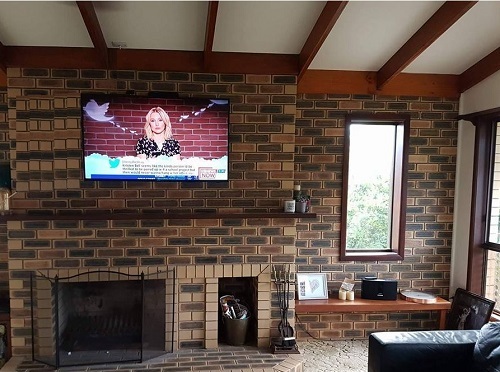 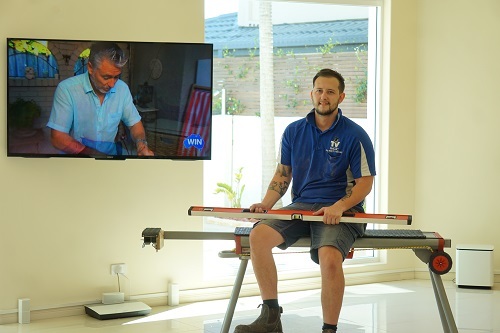 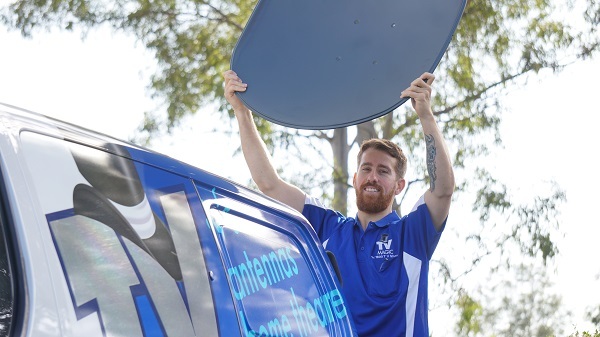 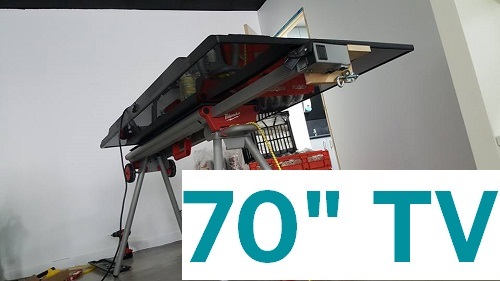 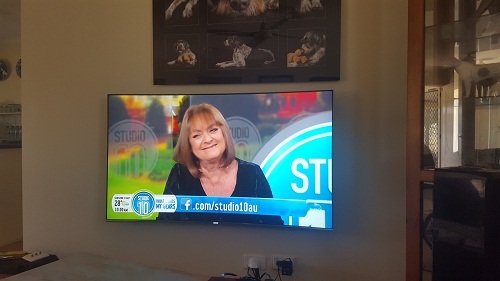 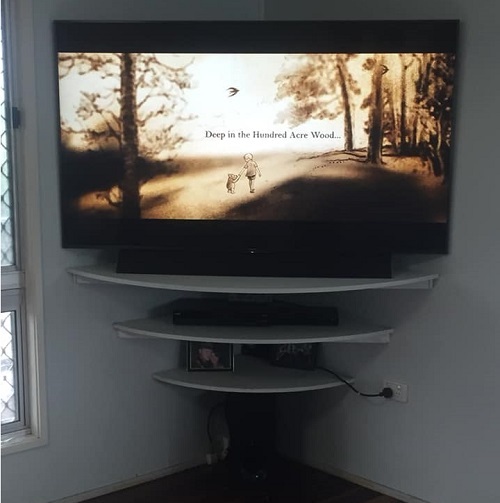 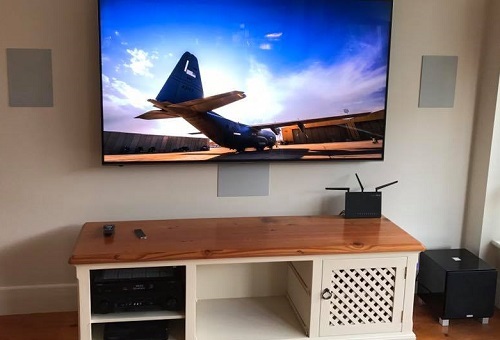 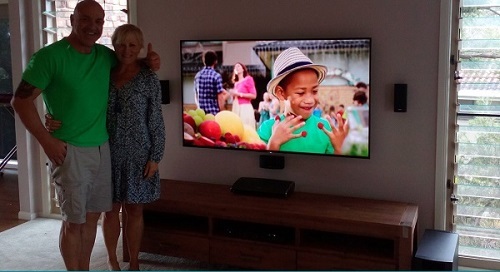 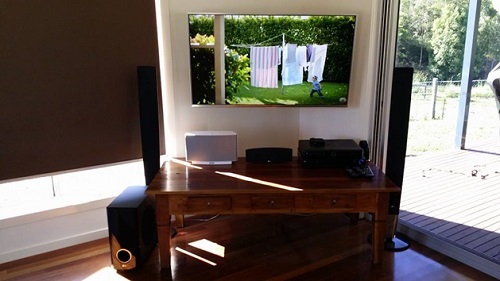 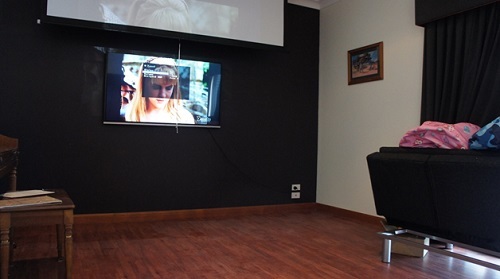 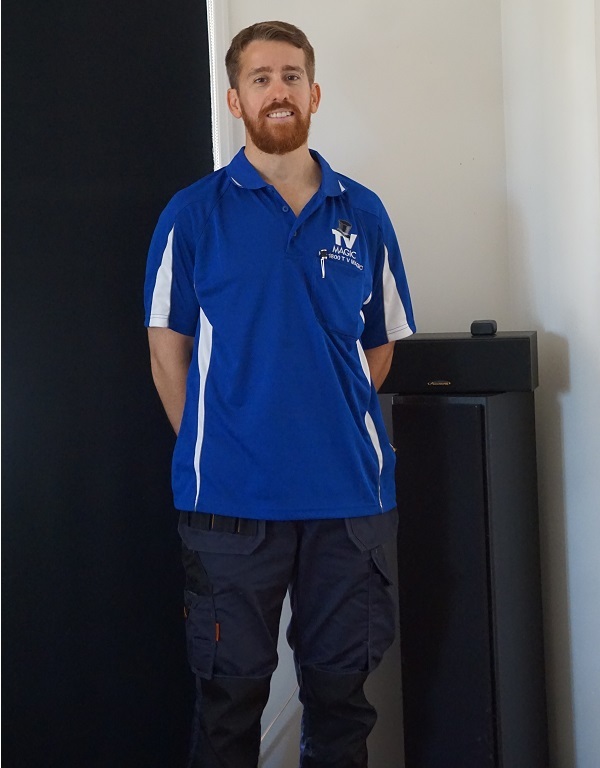 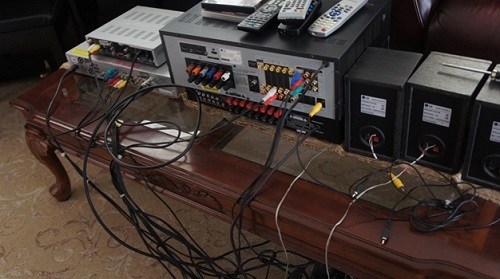 Our TV Wall Mounting jobs in Douglas are special; we treat each and every customer's experience as important and do our very best to make your entertainment dreams come true. 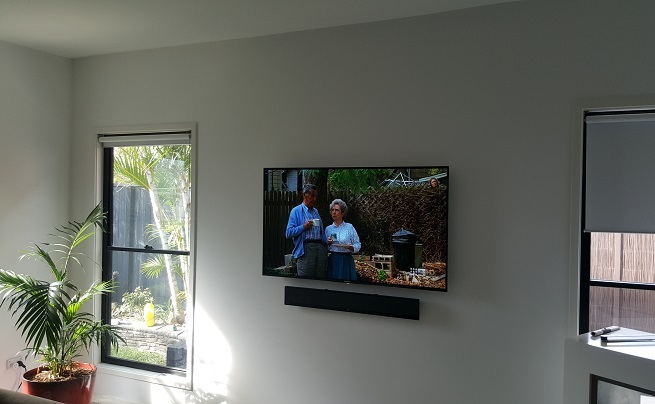 One of the wonderful things about TV Wall Mounting is that, although it creates beautiful TV Setups, it is also exceedingly practical. 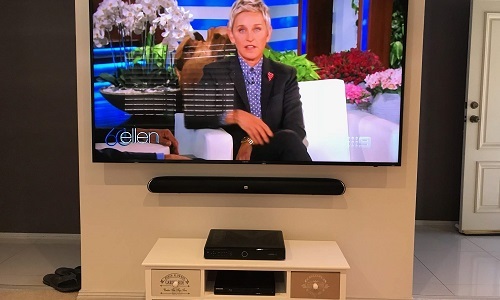 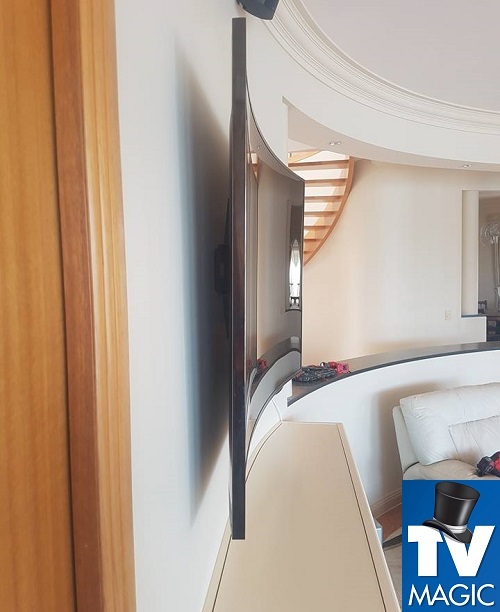 Wall Mounted TV's take up zero floor space...there are even speakers such as Soundbars that we can Wall Mount as well, so you don't have to have anything on the floor! 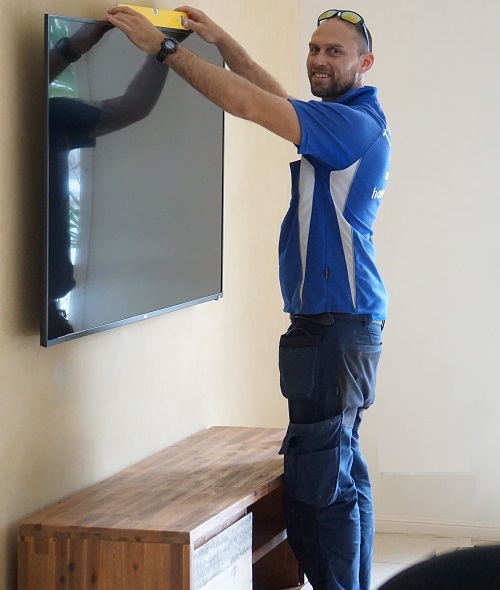 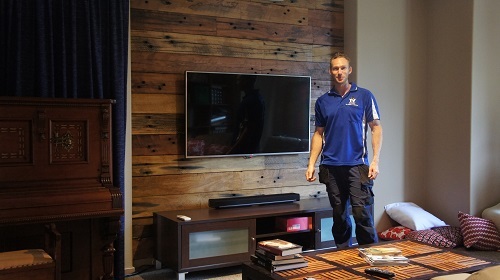 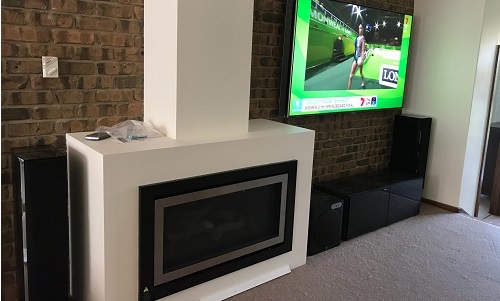 This prevents your home from looking cluttered and untidy, but that is not the only other benefit of getting your TV Wall Mounted. 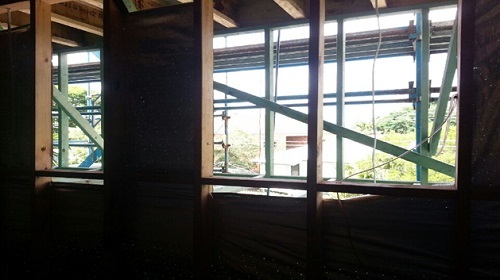 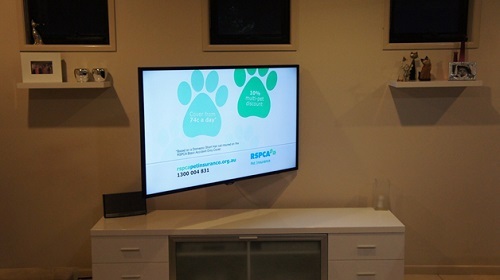 Did you know that numerous children each year are injured by falling or toppling TV's? 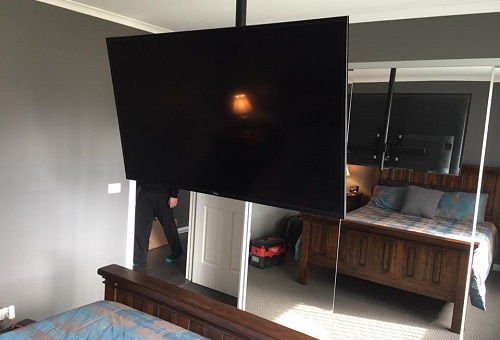 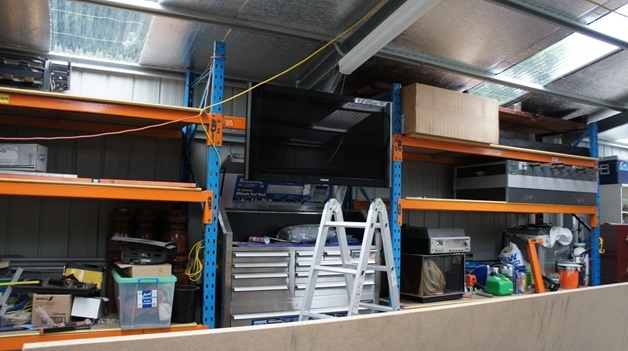 These are TV's that were not securely anchored to a wall. 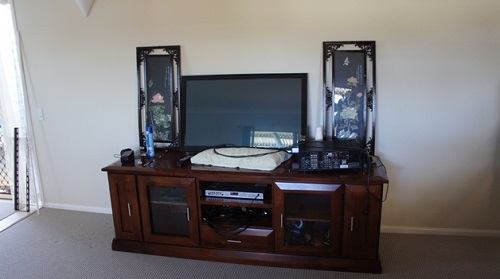 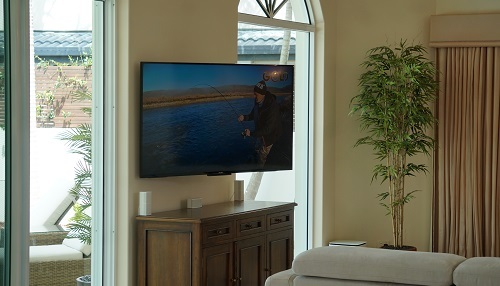 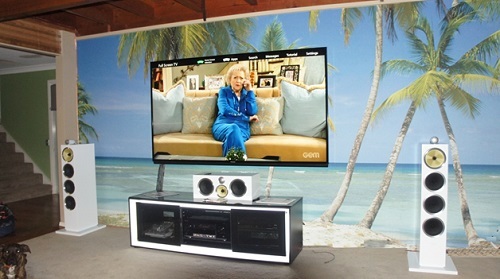 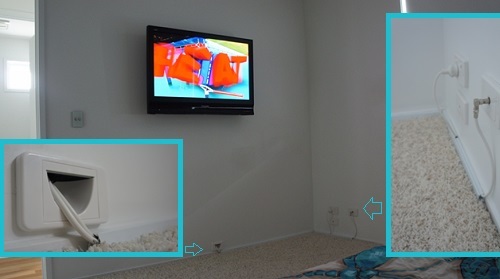 Wall Mounted TV's mean that you don't have to worry about kids or pets gtting hurt in your home. 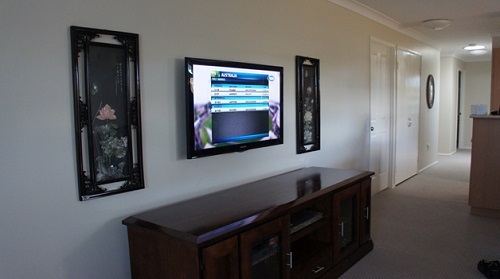 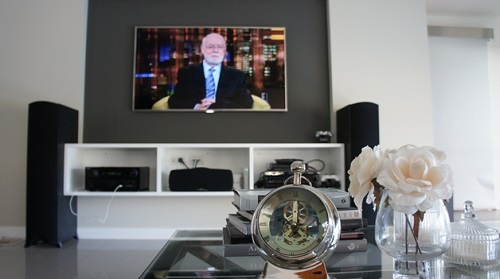 So why not call TV Magic Douglas today, and get your very own Wall Mounted TV!